Welcome to AAS ES Physical Education! Welcome to the Anglo-American School of Moscow’s ES Physical Education Team Blog. Here you will find what’s happening in PE classes, student activities and much more. Please check back often and feel free to leave us a message with your ideas, links and good thoughts. For Grade 1 and 2, students will be learning and improving their passing, dribbling, catching and shooting skills whilst working in small teams with a partner or a group of 3. The focus of the lessons will be on improving communication, team work, and movement in a small sided game whilst developing individual basketball skills. Students will be given the opportunities to learn and improve the skills, structures, and strategies of basketball in small sided situations. The primary skills to focus on will be the basketball set shot, chest pass, bounce pass, and dribbling. Students will inquire into the central idea through exploring rules and strategies of basketball. ES Winter Field Day will be on Friday February 12, 2016. Students participate in cooperative games in the snow. Morning session from 930 to 1100 am for pre-K to grade 2. The afternoon session for grades 3-5 will is from 1:15 to 2:30 pm. Students need to be prepared on the field for winter weather conditions. Students will inquire into the central idea through exploring a variety of partner and team games over a net with different types of equipment. Students will inquire into the central idea through exploring a variety of partner games which involve rallying and team games with modified rules. Students will inquire into the central idea through exploring rules and strategies of badminton (grades 3-4) and volleyball (grade 5). All Elementary classes will skate one time per week during one of their PE lessons. Children will provide their own skates, while the PE department will provide helmets with face mask. Students who are independently able to put on their skates and helmets will have more time to practice their ice skating skills. 2-3 parent volunteers are welcome for assisting with the younger students. Students will focus on building their confidence on skates and develop their gliding, stroking, turning and stopping with games and activities. Right now the students from grades 3-5 are working on a unit for Base Games. In Grade 3 we are focusing on the rules and strategies for kick-ball and T-ball. In Grade 4, we are focusing on the rules and strategies of Kwik Cricket. In Grade 5, we are focusing on the rules and strategies of softball to prepare the student for next year when they will have the chance to try out for the CEESA Softball teams. All of the Grade 3-5 students are also using one of their lessons for a boating unit. 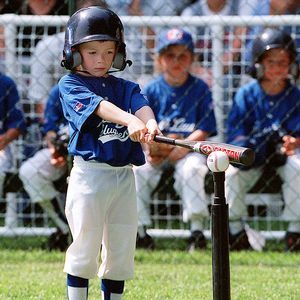 For the Pre-K to grade 2 classes our focus for lessons is also on Base Games with an emphasis on learning the skills of striking, fielding, throwing, and catching. The weather has been very helpful this spring and we will be taking all classes outside on the lower fields or the green top when the weather is nice. Pre-K to Grade 2 students learning how to stand, stop, and fall safely during ice skating. Our current unit is Ice Skating and Net Games. The ice rink will be open on Monday, January 20th. All students will have one lesson per week on the ice (schedule attached). For the other PE lessons the Pre-K to Grade 2 students will be learning the fundamentals of a variety of net and racket games. The grade 3-4 students will be focused on learning the basics and strategies of badminton while the grade 5 students will be focused on volleyball. Fitness is also an important part of our curriculum and students will continue to take part in performing and assessing their own levels of fitness. Enter your email address to subscribe to the AAS ES PE blog and receive notifications of new posts by email.